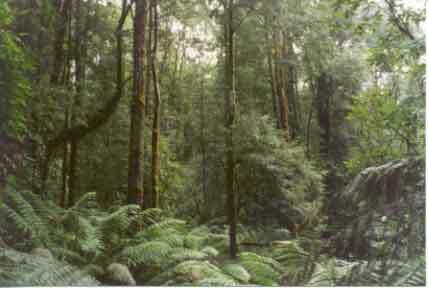 Otways Cool Temperate Rainforest within and just outside Hancock's plantation boundaries. 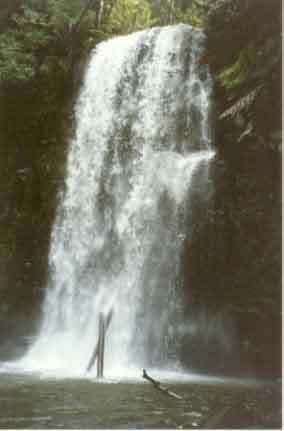 July 2001: Beauchamp Falls with part of the DNRE concession area - inside Hancock's plantation boundary - overlooking the waterfalls. Too good to log! July 2001: Upstream from Beauchamp Falls. 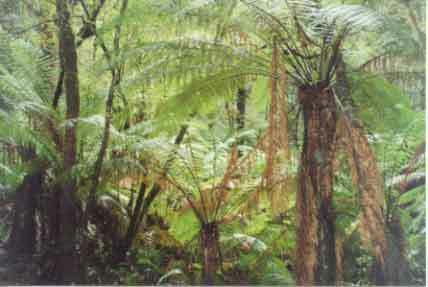 Myrtle Beech Cool Temperate Rainforest in riparian area of Deppeler Creek. 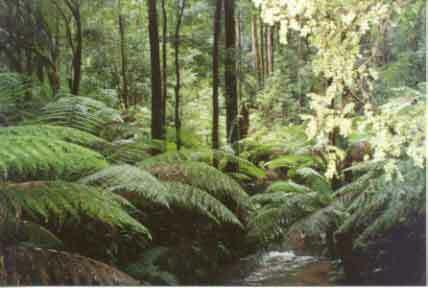 July 2001: A tributary of Deppeler Creek inside Cool Temperate Rainforest. July 2001: Deppeler Creek Cool Temperate Rainforest upstream from Beauchamp Falls. Hancock land starts on the eastern side of Deppler Creek. 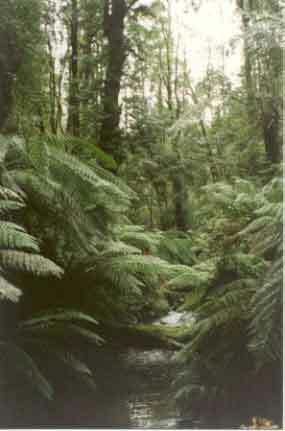 July 2001: Myrtle Beech Cool Temperate Rainforest upstream from Beauchamp Falls. 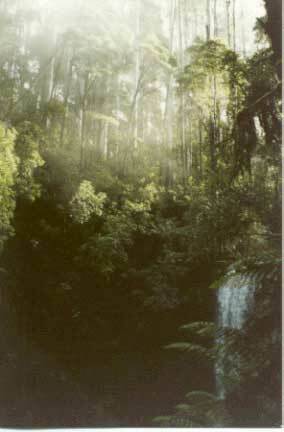 July 2001: Beauchamp Falls - A popular tourist destination in the Otways. Any logging activity near these falls would be a public relations disaster for both the Department of Natural Resources and Environment and Hancock. 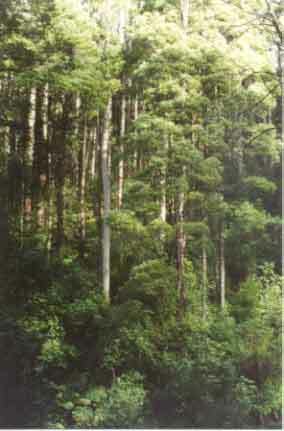 Logging activity could also increase the further spread of Myrtle Wilt inside this rainforest. July 2001: Native vegetation in a tributary of Deppeler Creek. 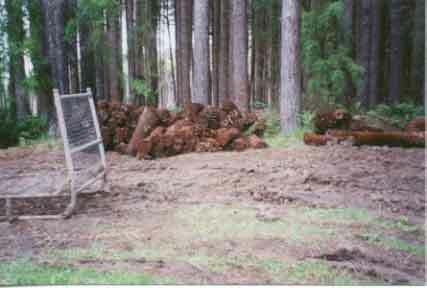 July 2001: Photo showing DNRE concession zone on the western sideof Deppeler Creek. This is the area that Hancock may want to log as it contains regenerating Mountain Ash. November 2001: Sediment build up in Deppeler Creek. The only land use upstream from where this photo was taken is plantation forestry. 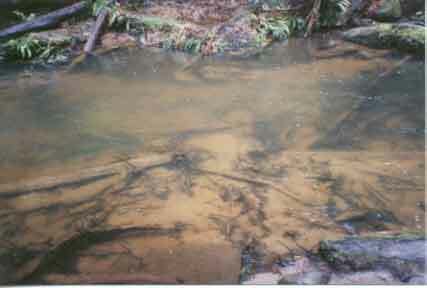 Sediment build up such as this can play havoc with many indigenous fish and macroinvertebrate species. 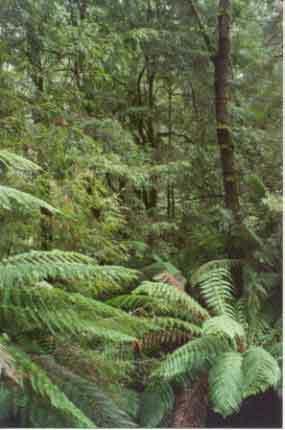 November 2001: Culling of native fern species from within pine plantation just off Beauchamp Falls Road.